BEST PHOTOBOMB OF ALL TIME? This adorable little girl asked her dad to take a picture of her next to her favorite animal. 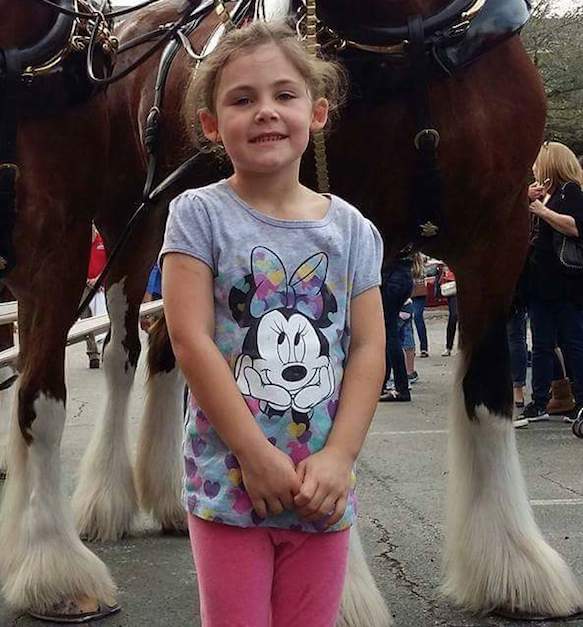 With a huge smile on her face, she ran up in front of a Clydesdale and waited for her dad to snap the pic. 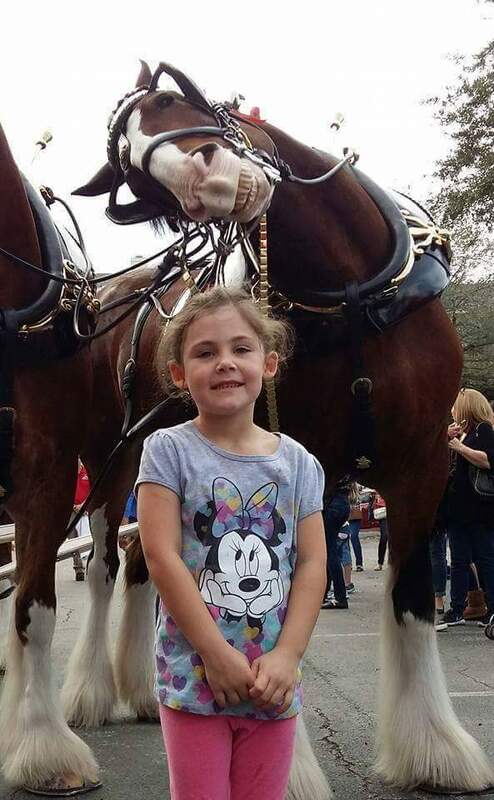 What she didn’t know was that this particular Clydesdale had a nasty habit of photobombing visitors. Neither the dad nor daughter knew what happened until later. When they looked at the picture, this was what they saw. No doubt this is one of the greatest photobombs we’ve ever seen. Some are even calling it the greatest photobomb of all time. After seeing just how much this horse loves showing off its pearly whites, it’s hard to disagree. When the family got home, the dad uploaded the hilarious photo to Facebook. He didn’t expect much other than a few laughs, but a few hours later he was shocked to discover that the picture had spread like wildfire across the Internet and had been seen and shared by thousands of people. This is truly one photo they will never forget. 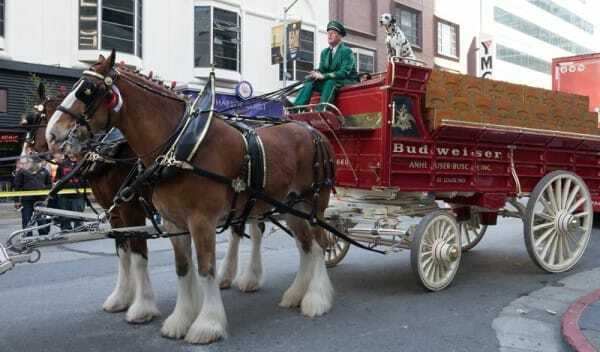 A big thank you to Barbara Anable for emailing this story to me! What a wonderful week it has been! Sunday night, I was invited to speak at the Betania Romanian Church here in Hot Springs. They were such a gracious group of believers. I informed them that I was practicing my speech for the upcoming worldwide protest on them and they were very attentive. After an hour of worship and Bible Reading, I was given the opportunity to share my speech. Brother Gabriel translated the speech into Romanian. There were about 120 or so in the congregation, maybe more. Some of the members in the church knew more about the Norwegian problem than I do. Brother Daniel has become my contact and thinks that maybe 50 people will show up from his church at the demonstration on April 16th. The speech was interesting. It was the first time that I have had to hold back tears during this learning experience. The training I received at Toastmasters (a speech club I once belonged to) was very helpful. THAT WAS ONLY THE BEGINNING OF THE WEEK! I’m a bit of a theology guy if you haven’t noticed. Dan’s blog, The Battle Cry, which I have been following for years had a great article that I re-blogged this week. It featured Pastor Gary Gilley of The Southern View Chapel. I have great respect for the discernment of Pastor Gilley. YOU CAN FIND THE ARTICLE HERE. Don’t let the title of this piece scare you. Two posts were then re-blogged, one by my blogging buddy, Manny Rodriquez and other by my American/Romanian friend Chris Prunean. Chris had great news! 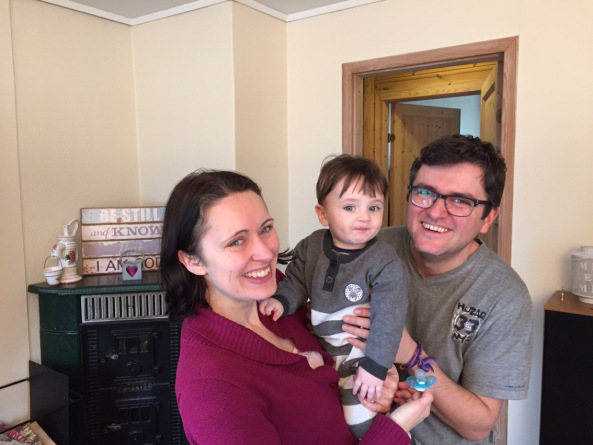 A judge in Norway made a judgement that baby Ezekiel must be returned to the Bodnariu Family! A CPS worker has stated that there may be an appeal in the case, but for now the baby is home with his parents who are praying for a similar judgement in the cases of their other 4 children. American students are supposed to take American History in 5th grade, 8th grade, 12th grade, and again in college. DELIGHT IN TRUTH LISTED CITIES WORLDWIDE WHERE DEMONSTRATIONS AGAINST NORWAY’S CHILD PROTECTIVE SERVICES WILL BE HELD HERE. He was kind enough to include a small city like Hot Springs on his list. Hopefully, many will learn of the ongoing situation in Norway. On Thursday, Jose Fernandez, the Superintendent of Hot Springs National Park approved my Special Use Permit request for a demonstration here in Hot Springs on the day of Worldwide protests. I would like to thank Tricia, Jose’s assistant, for her professional handling of my request. THE DETAILS OF THE HOT SPRINGS PROTEST CAN BE FOUND HERE. By the grace of God, I was able to manage to squeeze in four days of teaching in different area schools. We have wonderful children living in our area. I got to teach Jr. High Social Studies, keyboarding, and music. Friday was fantastic. I got to spend my day with the special ed. kids at Fountain Lake Elementary. I am constantly encouraged by CHRISTian poetry by Deborah Ann. HER WONDERFUL POEM MAY BE FOUND HERE. I pray that all of you have a blessed weekend. 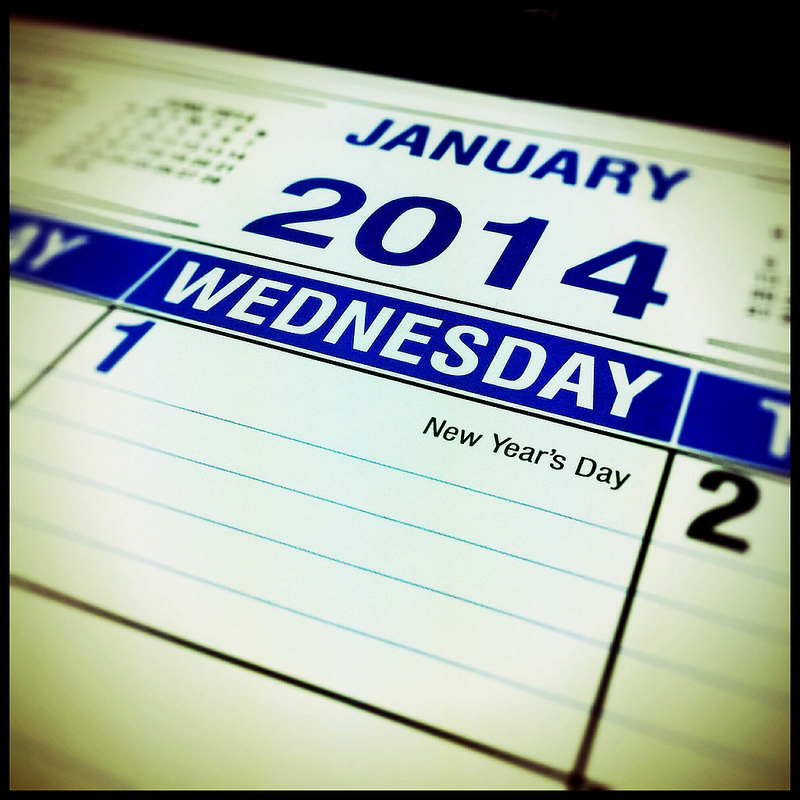 How many interesting things happened in your life in 2013? For me, 2013 was all about new people whom I met. I’ve met some wonderful people in life and through cyberspace. I would like to share my “big moments” of 2013. This not a chronological list. There are several people whom I met through blogging who have become friends. 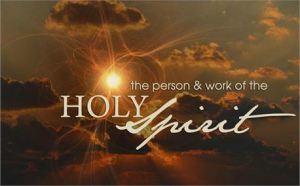 Chris (Delight in Truth) and Sherryn (The Narrowing Path) are two people whom I respect and have had fellowship with online. Their blogs are excellent. Dawnmarie decided to stop her Christian themed blog this year and has simplified life with “A Little Bit of Sugar.” I have been Inspired by the “Christian poetry of Deborah Ann,” and the life of Gregory and his blog “Through the Eyes of this Calvinist.” Although I’ve known her since college, “Mrs. Acuna’s Blog” was also added to my blog roll this year. “M’kayla’s korner” is another blog added because of its informative content and m’Kayla’s knowledge of false teachings. I have continued to follow Kassey’s “Ponder Anew.” Although we are no longer working together, we keep in touch here and via Facebook. It would be wrong to leave out Manny’s blog “Cracked Pot.” He has recently posted lengthy articles about Calvinism and he has been on my blog roll almost since the beginning. Many interesting people were met through these blogs. Austin, whom I met at Sherryn’s blog, and I have been emailing back and forth. These people come from as close as my own state of Arkansas (Gregory) to a friend in Hong Kong (Lest). Others are from Australia, England, Romania, etc. It was also nice to get reacquainted with Barbara Anable this year. I have known Barbara, who lives in the same city, for years and somehow we lost connection when I changed the theme of the blog. She has contributed posts in both Wings of the Winds. The blog hasn’t had as many hits since I went with a more Christian theme. That is just fine with me. The “politically conservative” (whatever that is these days) Wings of the Wind that dealt with local and national politics was successful. I am more concerned these days with spiritual matters and will throw in something that relates to politics when I think it is important. I plan on continuing with Christian material and will continue to try and get up 12 posts a month. I joined a theological discussion group on Facebook. I joined a creationist/evolutionist discussion group on Facebook. I really enjoy the theological group, but the origins group gets quite heated at times. If one goes, it’ll be that one. I also started playing a strategy game online this year. It started as a joke as my son had the game and I gave it a try with a name taken from my middle name: Lavern. My son had called himself Granticus so I became Lavernicus. I have met people from all over the world through this game. It is a real time historical strategy game and I have made quite a few mostly young friends there. I like the game because it has a good filter for nasty words, there is no blood, and it helps keep my mind active. No word searches for me, thank you. I see it as chess. I am an average player. I don’t spend much time there as I’m a busy guy, but it’s the only game I play and have come to enjoy the company of several players. I want to thank them for understanding that I’m a Christian and for listening to me when asked about my faith. Jews and Muslims also play. There are Christians who play. Servant2Lord has his own YouTube channel and has put up a few of my games. Feudal Lord lives only an hour from me whereas Servant lives in New Zealand. Thanks to Gualtiruzzo (ruzzo), Rob, Vladek, Aleric, Kocha Panda (Panda), kingedawg (king), Friedrich Smith (FS), Iron Price, Quetzalcoatl (Quetz), Schoob57, Marco Polo, Shin, bear, Granticus22 and many others whom I will add as I think of them. Thank you for putting up with my Christian discussions as you were organizing games. I hope we both learned something. I plan on not playing as much in 2014 because I must keep up on the changes in the world that relate to my Christian beliefs. On the home front, if you are still reading this, there have been changes. I am now teaching in a substitute capacity. My son is in college. My daughter got a job working with kids at a church. There are some things that don’t change. Like the love of God, my wife of 32 years continues to stay the same. I am a very blessed man in so many ways. That about sums up my 2013. Please feel free to comment and share things that happened in your life this year.